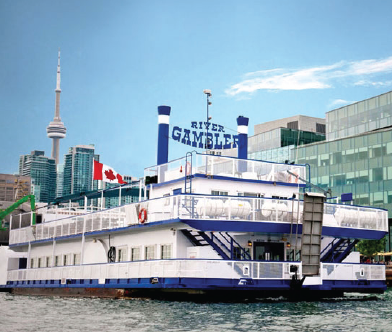 Head to the lake and dine aboard the River Gambler from Epic Cruises while you cruise Toronto Harbour. With a large open deck, uniformed staff, a happening bartender and onboard DJ, you’ll be feeling festive and free in no time. Seeing the city differently, from an unfamiliar perspective, inspires creative thinking.